I just can’t say no to a highlighter review. It may be a full-on blizzard outside, but I want my face to glow like I’m on a beach in the Bahamas. 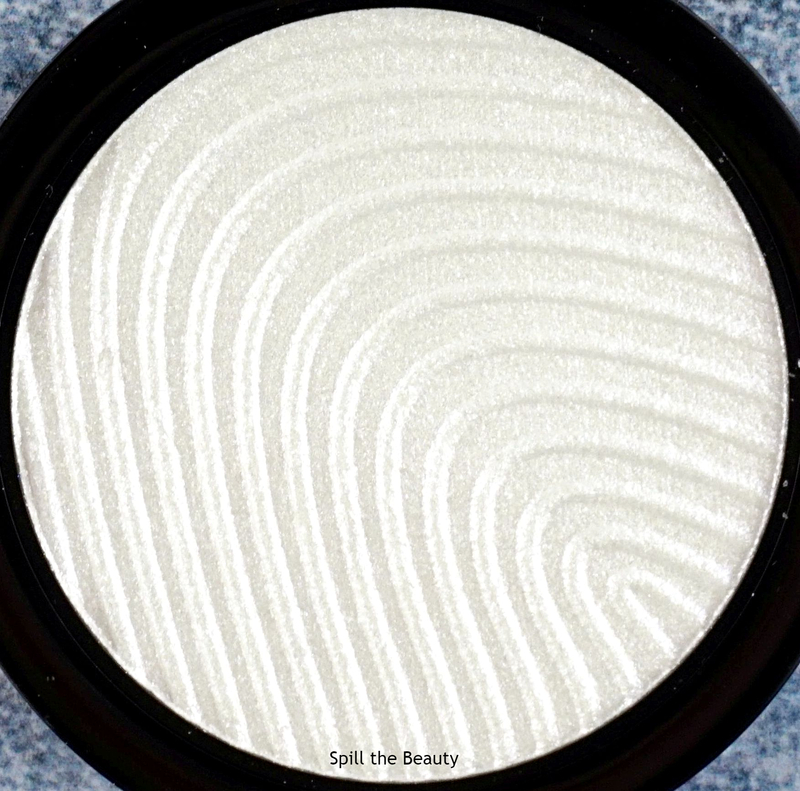 Today I’m reviewing another highlighter from Maybelline. 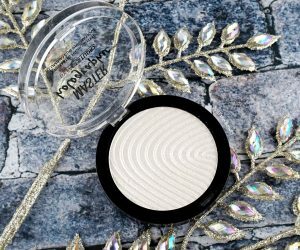 The last time I reviewed a Maybelline highlight, I was pleased as punch (Maybelline Master Chrome Metallic Highlighter in Molten Rose Gold review here), so I was hoping that the prismatic highlight performs similarly. 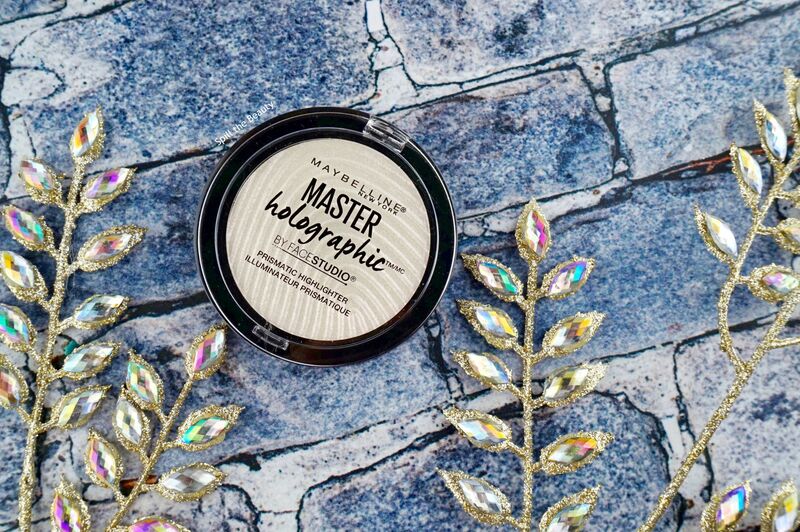 This is the Maybelline Master Holographic Prismatic Highlighter in 050 (the prismatic highlights don’t appear to have names – just shade 050 and shade 100). The plastic compact is quite large, with a clear top showcasing the product. 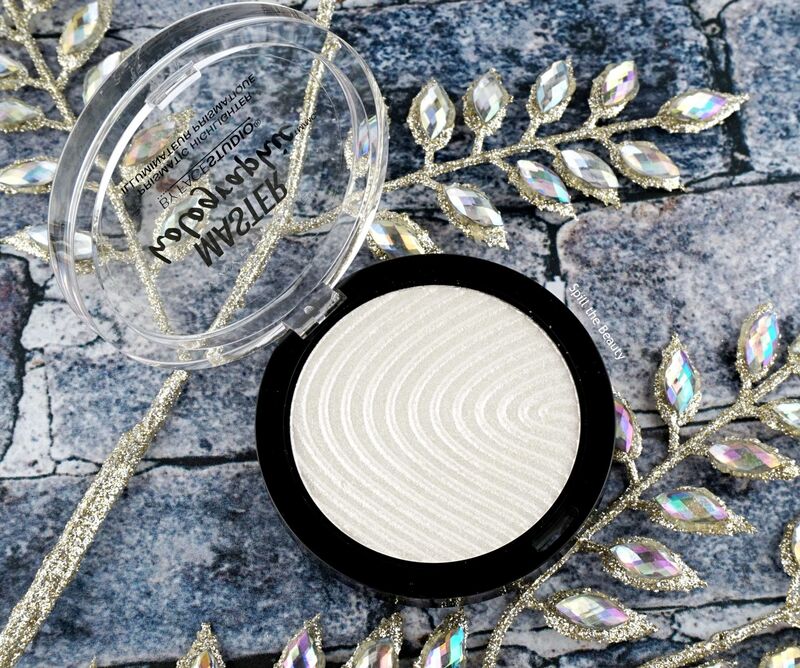 It contains 6.7 g of product, compared to a BECCA pressed highlighter, which contains 7 g of product. The powder is embossed with a soundwave-like pattern. 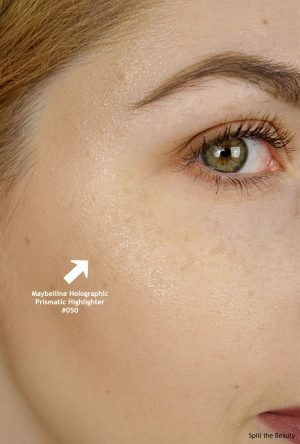 This highlight claims to be “holographic”, which in highlighter terms usually means that it has a colour shift and instead of an actual holographic, rainbow-y shift. The highlight has an almost clear-base and is filled with chunky white flakes and glitter that shifts to a ballet slipper pink. 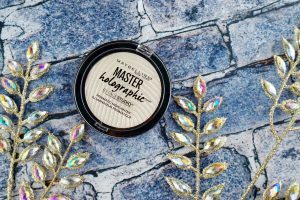 The holographic prismatic highlighter was a huge miss for me. 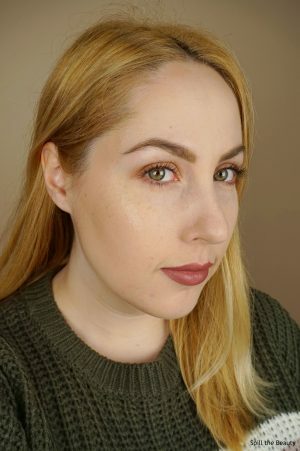 It doesn’t have the qualities that I look for in a highlight. Personally, I look for a pigmented base and for the “glow” to come from that pigment, but this product is just crumbly flakes and glitter. In the closeup photo above you can see the texture of the product and how noticeable the glitter is – it kind of went everywhere (it even moved its way into my hair). You can really see the difference between the Maybelline highlight when compared to a highlight from Wet n Wild and Too Faced. 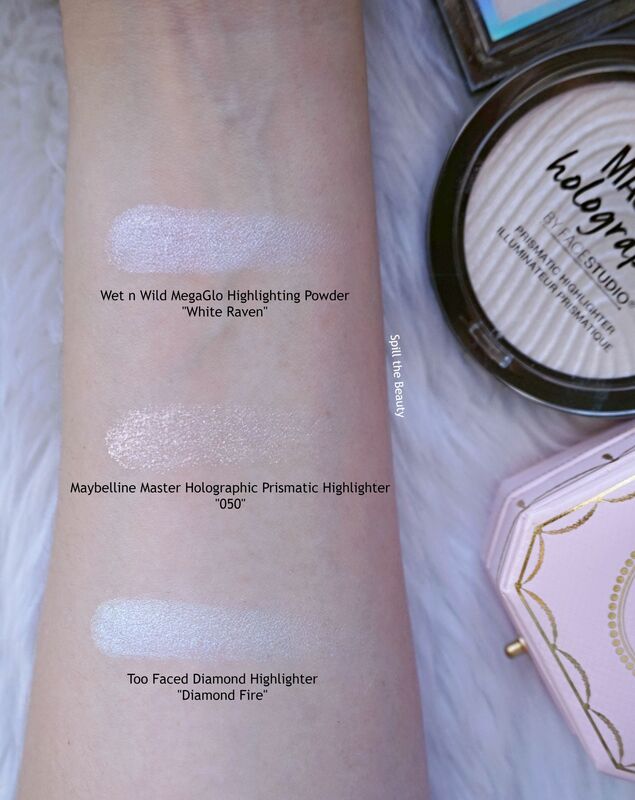 The Wet n Wild and Too Faced highlights have a solid and consistent base, compared to the Maybelline highlight that has a somewhat messy and flaky base. This one was definitely a miss for me. 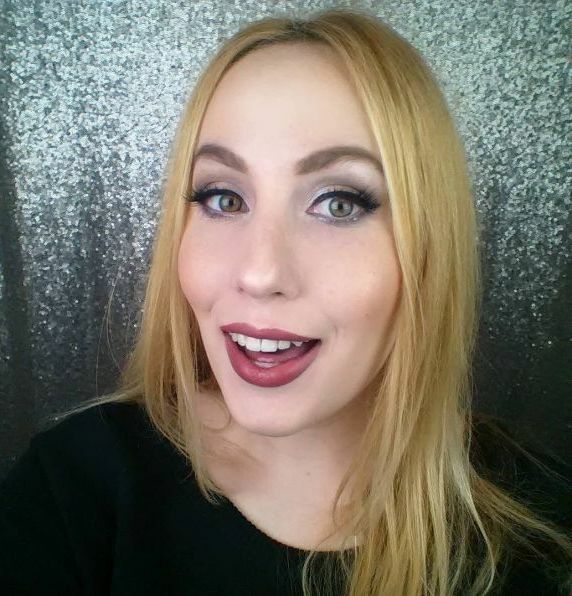 I can see this highlight working if someone is looking for a glittery disco ball effect, but I imagine it would be more for costume makeup rather than wearable, on-the-regular makeup.